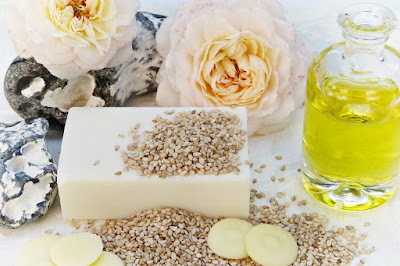 Refreshing Daily in God's Word: Daily Devotion: Do You Know About Ivory Soap? Harley Proctor was proud. In 1878, his company had come up with a soap bar as fine as the finest imported castile soaps but much less expensive. Indeed, a chemist’s report confirmed that Proctor & Gamble ‘s White Soap (the original name for what later became known as Ivory soap) was 99 and 44/100 percent pure. It was only by sheer accident that the soap acquired its most singular feature. One day, a factory worker forgot to shut off the soap-making machine when he went out to lunch. While he was away, so much air was worked into the mixture that it turned light and frothy. The worker decided not to discard the soap and shipped it out anyway. After all, the ingredients were the same. Who’d notice? Well, customers did – and deluged the company with requests for its unique “soap that floats.” After some hasty detective work, Proctor found out that P&G had inadvertently created a floating gold mine. As a born-again child of God, I can only "smell" of righteousness as I draw near to God. Just as Ivory soap cleans us physically, it's God's Word that cleans us spiritually. ✞ Take a bath and be clean physically but soak yourself in God's Word to stay clean spiritually.